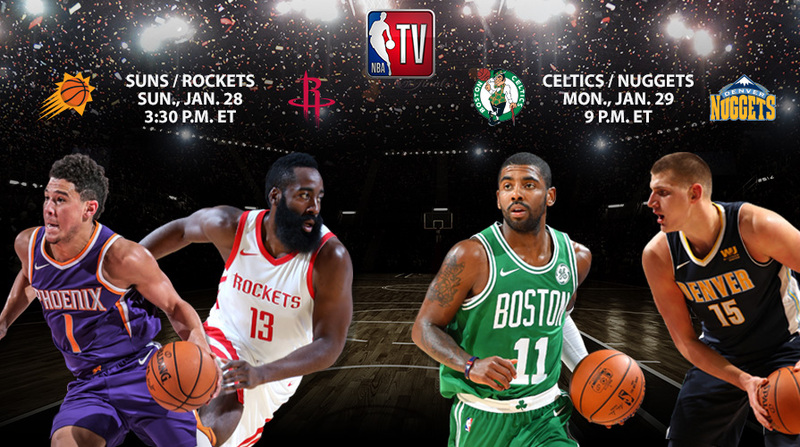 NBA TV will showcase three of this year’s NBA All-Stars – James Harden, Kyrie Irving and Al Horford – as a part of its upcoming live game schedule. Harden and the Houston Rockets will host the Phoenix Suns and Devin Booker on Sunday, Jan. 28, at 3:30 p.m. ET. The next night, Irving, Horford and the Celtics will visit Nikola Jokic and the Denver Nuggets at 9 p.m. as the featured game of the week during Fast Break Mondays presented by Verizon. The new weekly Fast Break franchise, occurring each Monday throughout the remainder of the season, will include expansive fan engagement opportunities and quick-time polling, immediate analysis and multiple continuous coverage windows throughout the night. • The network will continue its Players Only one-on-one interview series on Sunday, Jan. 28, at 7 p.m. ET. This month’s episode will include longtime Celtic teammates and legends Kevin McHale and Larry Bird sitting down for a conversation reflecting on their days together in Boston. Additional segments include Steve Smith visiting with Stephen Curry for “Under the Rim,” Isiah Thomas and Washington Wizards All-Star John Wall for “Isiah on Point,” and Sam Mitchell catching up with Sacramento Kings rookie De’Aaron Fox for "Sam’s Rookie Update." • NBA Inside Stuff, co-hosted by Kristen Ledlow and Grant Hill, will feature an all-new episode Saturday, Jan. 27, at 6:30 p.m. The all-access show will feature Hill’s sit down interview with Los Angeles Lakers rookie Kyle Kuzma. The show will also highlight Kemba Walker of the Charlotte Hornets and his role as a mentor for National Mentoring Month, and how Blake Griffin and the LA Clippers have partnered with the Los Angeles school district to provide free eye exams and glasses for students. Further, Hassan Whiteside’s Miami Heat teammates surprise the young center at his high school jersey retirement ceremony in Newark, N.J.
• The NBA trade deadline is approaching and NBA TV will offer expansive coverage across NBA GameTime, 10 Before Tip and The Starters leading up to Feb. 8. 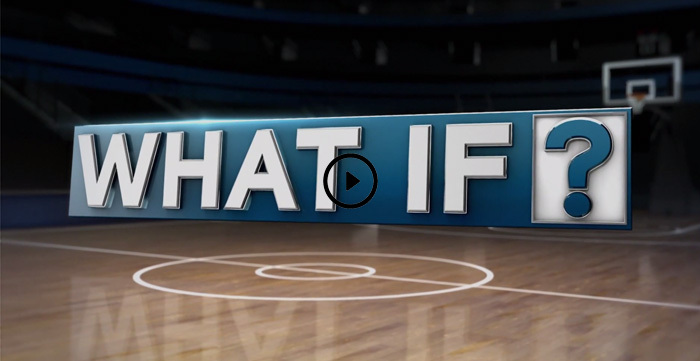 Additionally, the network will feature a one-hour preview on Wednesday, Feb. 7, at 8 p.m., followed by a four-hour special on Thursday, Feb. 8, from 1-5 p.m.
• The most recent What If vignette takes a look at the 2007 Western Conference Semifinals between the Suns and San Antonio Spurs. This week’s installment asks how the series would’ve turned out if Robert Horry of the Spurs and Amar'e Stoudemire and Boris Diaw of the Suns were not suspended. Horry was suspended two games following his flagrant foul of Phoenix’s Steve Nash, while Stoudemire and Diaw – who left the immediate vicinity of their bench – were suspended one game apiece. San Antonio would ultimately capture the series in six games.